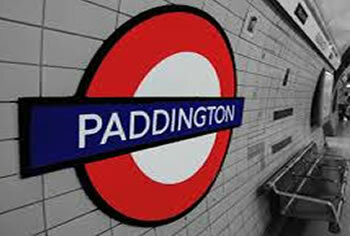 Paddington – London W2. Very central and dominated by the busy railway station designed by Isambard Kingdom Brunel back in the late 1890’s, just 15 minutes train ride to and from Heathrow via the Heathrow express make this area very popular with travelers to London. In recent years Paddington has become synonymous with the fictional and cute marmalade loving Paddington Bear, created by the author Michael Bond, the book was inspired by a teddy bear purchased in the area in 1956. Please do check out platform 1 at the station. 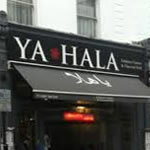 The area includes some fine Middle Eastern eateries and the lively Paddington Basin canal complex. 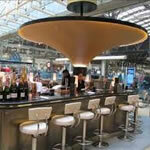 The Bablyon Girls and I particular like Searcys Champagne bar in the Station. National Rail: First Great Western London Paddington. Tube: Paddington Zone 1 - Bakerloo Line (brown), Circle (yellow), District (green). Visiting the area for business or for pleasure the agency has a number of attractive and adventurous escorts in Paddington and close by including Lancaster Gate and Edgeware Road available for incalls at their place or outcalls to your home or hotel for an hour or more of fun. Padington includes some great hotels, all close to the station. 146 Praed Street, London W2 1EE – Grand Victorian 4 star hotel, close to Paddington Station. Art Deco styled bedrooms over 360 rooms and 28 luxury suites and a 1st rate concierge desk and all amenities as you would expect. A firm favourite for overnight stays. 55-61 Westbourne Terrace, London, Paddington W2 3UY – 4 star modern regal style hotel, close to the station. Some rooms include queen sized beds which are perfect for meetings with your Babylon Girl. The station is the hub of Paddington and add the allure of Little Venice and you will discover many fine dining experiences. Paddington Station, London W2 1HQ - The bar in the station experience elegance and style while you wait for your train or wait for your date, Just mention Champagne to any of the Babylon Girls and you are onto a winning night of fun and frolics. Piccolo Venezia, part of the Paddington basin where the Grand Union and Regents canals meet, enjoy canal side cafes, pubs, bistros and restaurants. Take a walk along the tow paths or canal boat ride downstream downstream to Camden and beyond, experience tranquility and peace in busy London. St Mary's Hospital Praed Street London W2 1NY - it’s truly amazing if you are into the sciences or not, there is no question that penicillin discovered by Sir Alexandra Flemming http://www.biography.com/people/alexander-fleming-9296894#the-road-to-penicillin has saved many life’s over the years, the museum has re-created the lab where it all took place in 1928. One of the 11 Royal Parks in London, covering over 365 acres, opened to the public in 1835. The park includes a world class Zoo, fabulous all year round gardens, outdoor theater and a 100 acre sports facilities and makes for the perfect place for a romantic stroll day or night.